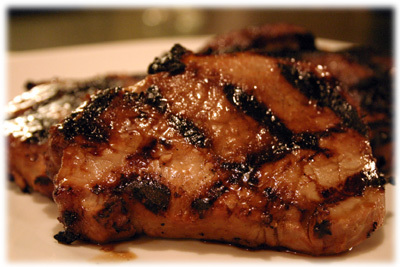 Grilled pork chops come in all shapes, sizes and flavors. 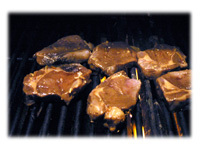 What makes this recipe a little different from the other boneless grilled chops is the unique ingredients used in the marinade. Not having any orange juice available to mix with soy sauce for the pork chop marinade I used the next best thing I had - orange marmalade! The results were fantastic. 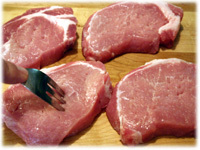 Try to use nice thick boneless pork loin chops if you can and serve them on a bed of rice after their grilled. If you'd like a nice sticky finishing glaze on these chops I urge you to try the new Teriyaki Sauce, it will give it a really rich, deep ginger boost in flavor. Pierce the pork chops all over with a fork. In a small bowl mix all pork chop marinade ingredients. 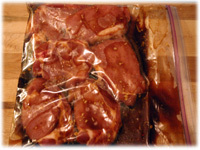 Place the chops in a resealable freezer bag and pour in the contents of the marinade. Refrigerate 4 hours or up to overnight (better). When the grill reaches cooking temperature place the chops on the grill. After several minutes lift the lid and rotate the chops 30 degrees if you want those fancy diamond grill marks. A couple of minutes later flip the chops over. 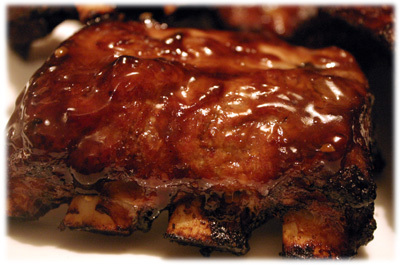 If your using the optional Teriyaki Finishing Glaze now is the time to put it on. After 3 or 4 more minutes the chops will be cooked (internal temperature 160F) and can be removed. 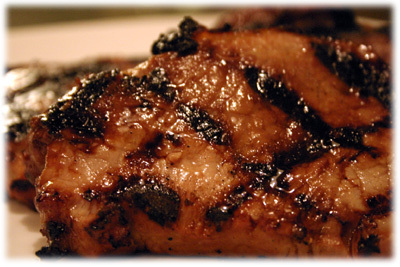 If you'd like, baste a little more of the teriyaki finishing glaze over each side of the grilled pork chops. 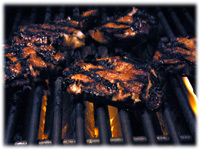 Cover the grilled chops with foil and let them rest 5 minutes before serving.